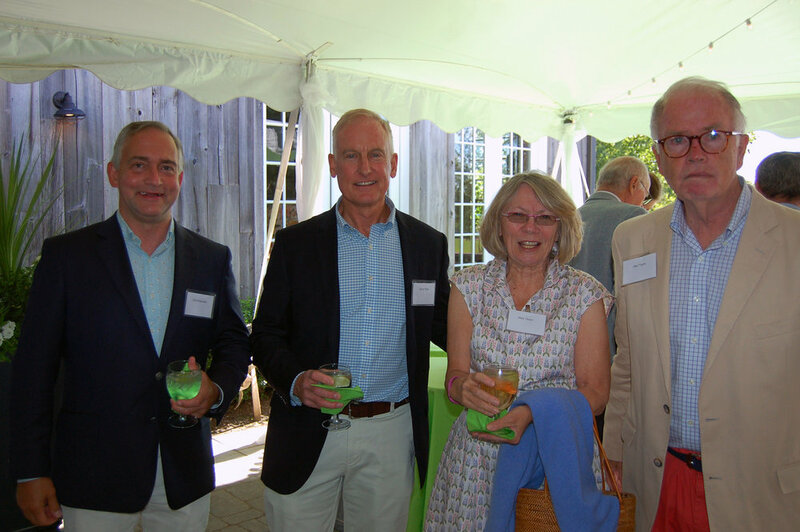 Many thanks to our gracious host, Elaine LaRoche, for providing such a magical setting for our 25th anniversary Garden Party held on July 29th at LionRock Farm in Sharon. Guests enjoyed spectacular and breathtaking views complete with vistas, the famous Twin Oaks field and the Taconic mountain range. Guests strolled through the many gardens that connect the house and farm buildings which include the formal parterre garden, beautifully designed with four quadrants filled with perennials around a multi-tiered Victorian water fountain anchored by towering catalpa trees. Allees of maples and an arch of River birch embraced the cluster of barns and gardens that framed the views over the rolling hills. Borders of peonies, roses and hydrangea did not go unnoticed situated among the stone walls with antique statuary and urns of all sizes overflowing with unusual plantings. A perfect summer day only added to this beautiful setting!